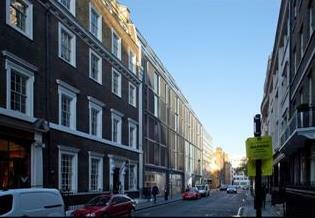 29-30 Old Burlington Street is a freehold property located in central London. The property was converted and redeveloped into a prime residential scheme, known as Burlington Gate. The Burlington Street property is positioned in the center of the prime East Mayfair location, and Mayfair is considered as the London Property Market’s crème de la crème as rentals here rank amongst the highest in London and the world. It also boasts some of the capital’s most exclusive shops, restaurants, clubs and hotels such as the likes of The Westbury and The Ritz. Likewise, Mayfair is home to some of the finest shopping establishments in the world such as the famous Bond Street, Savile Row and Regent Street which features some of the world’s prominent brands and top designers such as Donna Karan, Prada, Louis Vuitton, Chanel, Armani, Versace and Ralph Lauren. It is well connected by the underground stations of Bond Street and Oxford Circus, the railways of Victoria Station as well as the bus routes in the vicinity. There are 42 new 1, 2 and 3 bedroom luxury apartments spread over the first to eight floors while the Ground Floor accommodates a new contemporary arcade linking Cork Street and Old Burlington Street which will house young and emerging artists to augment one of London’s most established art gallery district.